Patients who have sinus issues, facial fractures, or ear, nose, and throat concerns, can get the care they need from expert otolaryngologist and head and neck surgeon, Jason Trahan, MD. Dr. Trahan treats patients at Southern ENT Associates located in Opelousas, Louisiana. 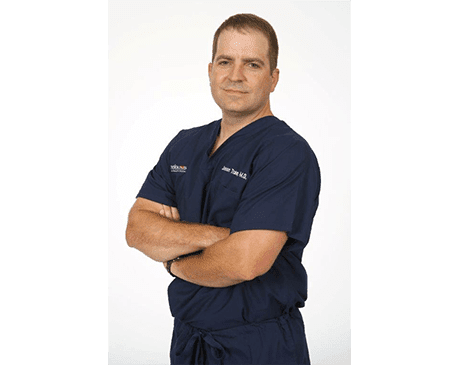 After excelling through his undergraduate program, Dr. Trahan earned his medical degree from the Louisiana State University (LSU) School of Medicine in New Orleans. He completed his residency training in otolaryngology at the same university. While Dr. Trahan can diagnose and treat all conditions of the ear, nose, and throat (ENT), he has special interests in chronic allergies, sinusitis, head and neck cancer, and reconstructive facial surgery. Dr. Trahan can also help patients who have difficulty swallowing or suffer from hearing loss. With his innovative background in modern, advanced treatments and procedures, Dr. Trahan can care for patients of all ages who have complex otolaryngology issues. He’s currently accepting new patients and welcomes them to the practice.